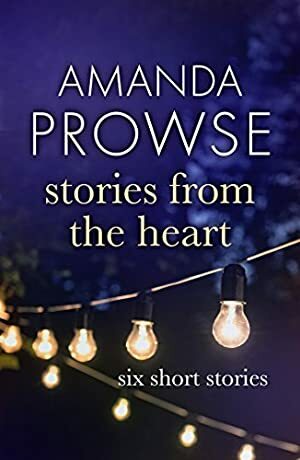 Six powerful, gripping short stories from bestselling author, Amanda Prowse. Susie has just arrived in Australia. She is clutching a newborn baby, but she has no wedding ring on her left hand. With no money, and no hope, how can she turn her life around? Gemma Peters, a happy-go-lucky teenager has disappeared without trace. Where has she gone? Why has she been lying to her family? And, most importantly, will she ever come home? Twenty-four-year-old Imogen longs for a baby. She knows it's hard to raise a child alone, but Imogen is also blind. Can she overcome life's challenges and have the baby she longs for? Funny, heart-warming and moving, these six short stories are the perfect excuse for a bit of me-time. Log In to track Amanda Prowse on eReaderIQ. to be notified each time the price drops on any book by Amanda Prowse. to stop tracking Amanda Prowse. We started tracking this book on July 28, 2017. The current price of this book is £3.99 last checked 4 hours ago. We last verified the price of this book about 4 hours ago. At that time, the price was £3.99. This price is subject to change. The price displayed on the Amazon.co.uk website at the time of purchase is the price you will pay for this book. Please confirm the price before making any purchases.